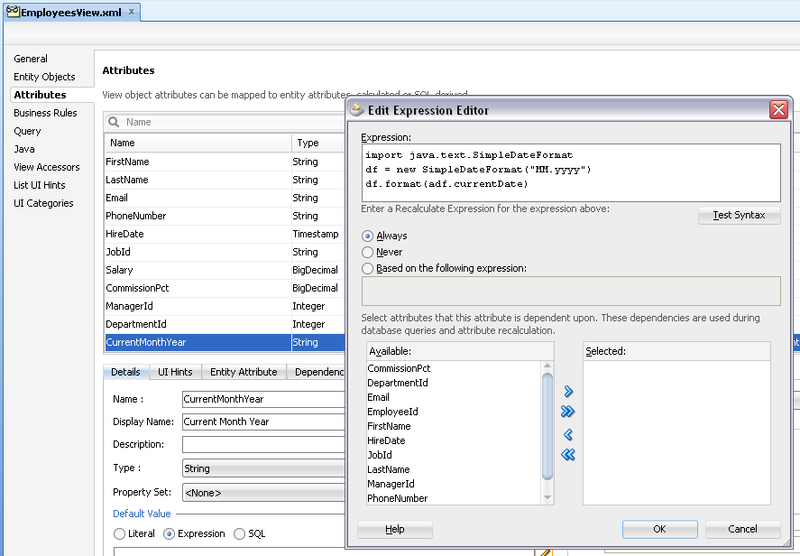 ADF BC Groovy expressions support is really great and often saves a lot of time in development of complex functionalities. 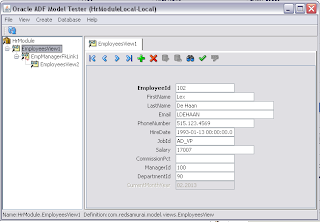 It comes very handy when retrieving referenced data or calling custom ADF BC methods. 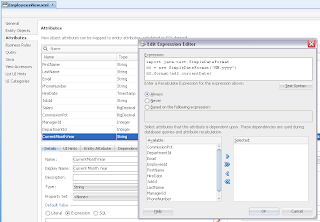 There is one more hidden gem offered by ADF BC Groovy - option to import Java packages directly into Groovy and use Java functionality. Here you can download sample application for this post - AdvancedGroovyApp.zip. Great discovery Andrejus, never would have thought of that. Can be very helpfull. I think it should work with any version. But I was testing only with the latest JDev. 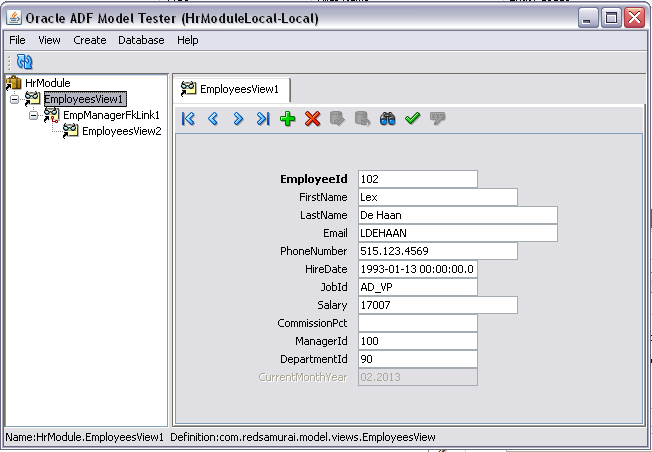 General error during semantic analysis: JBO-25152: Calling the constructor for class java.text.SimpleDateFormat is not permitted. It could be a bug in 12c. I will need to test, on my todo list. Did you get a chance to see if it is a bug?